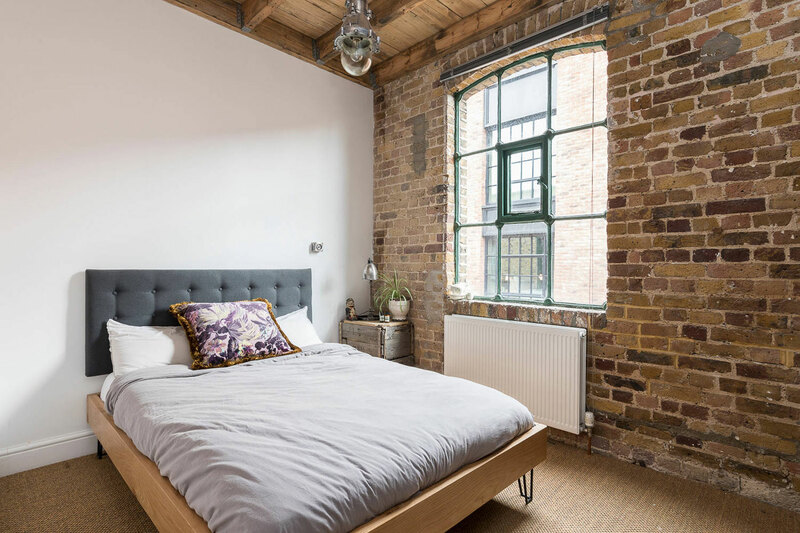 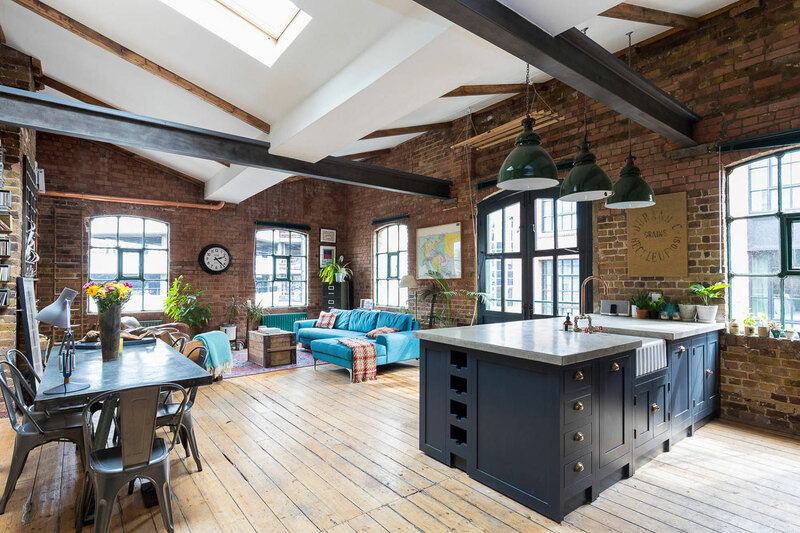 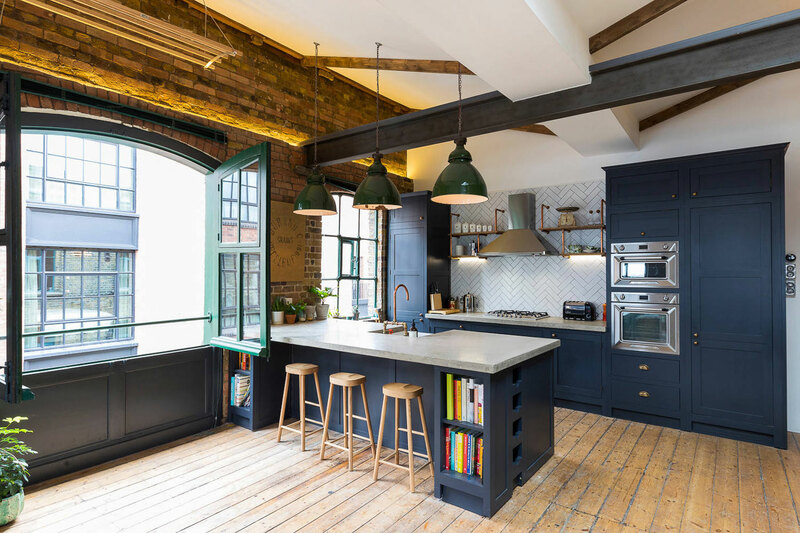 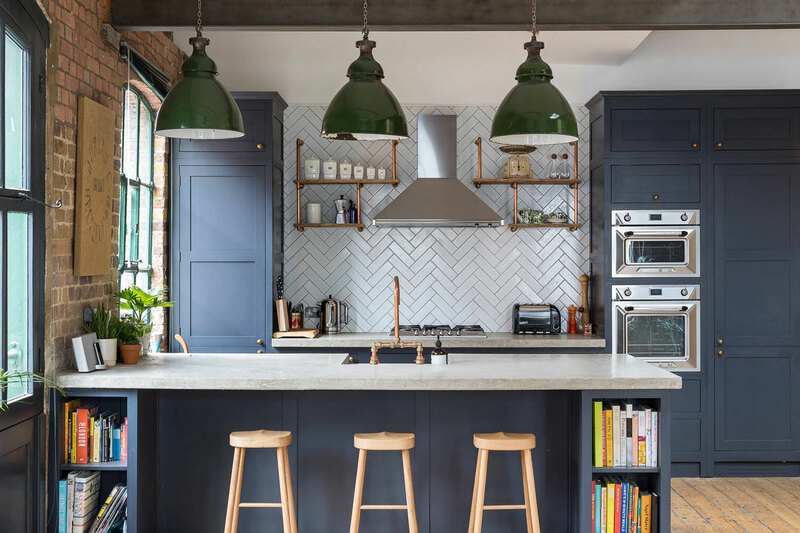 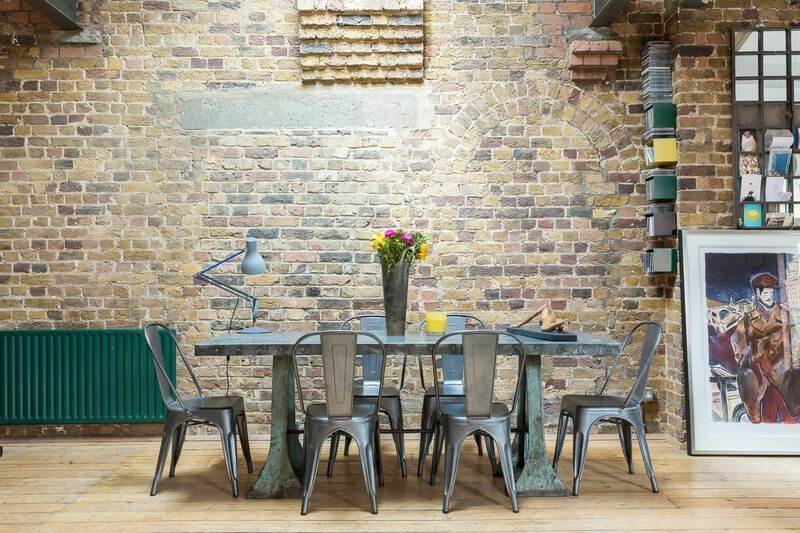 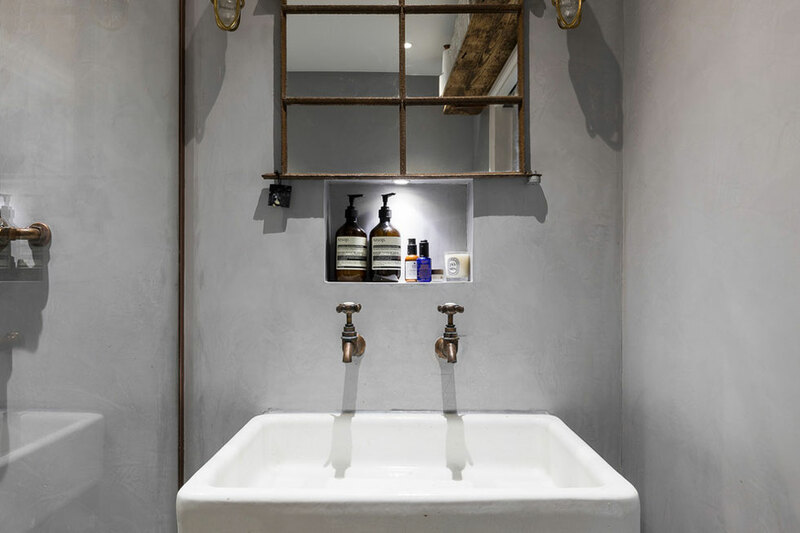 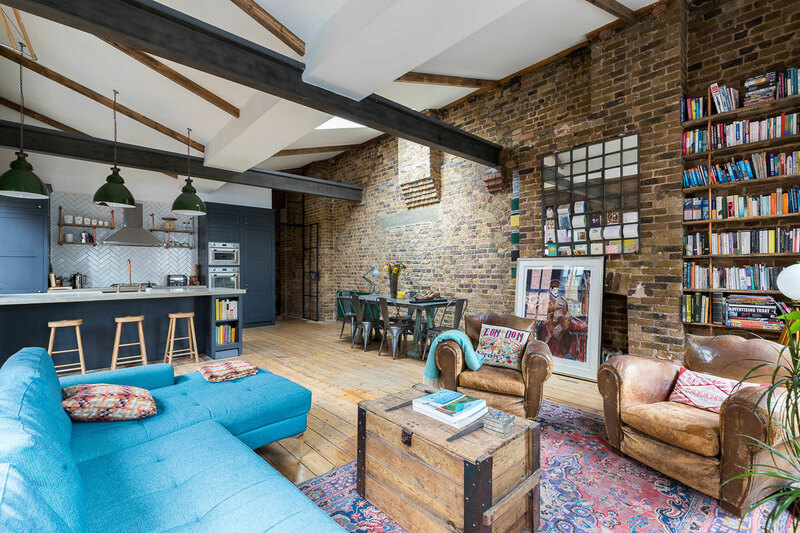 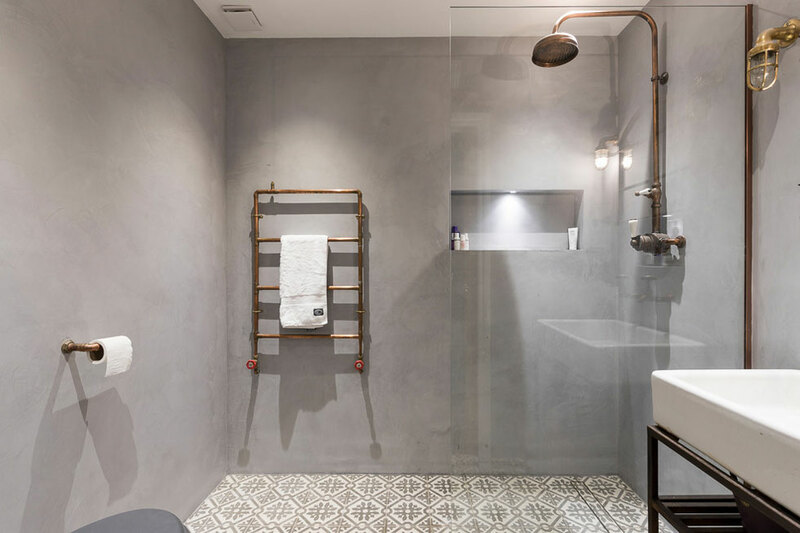 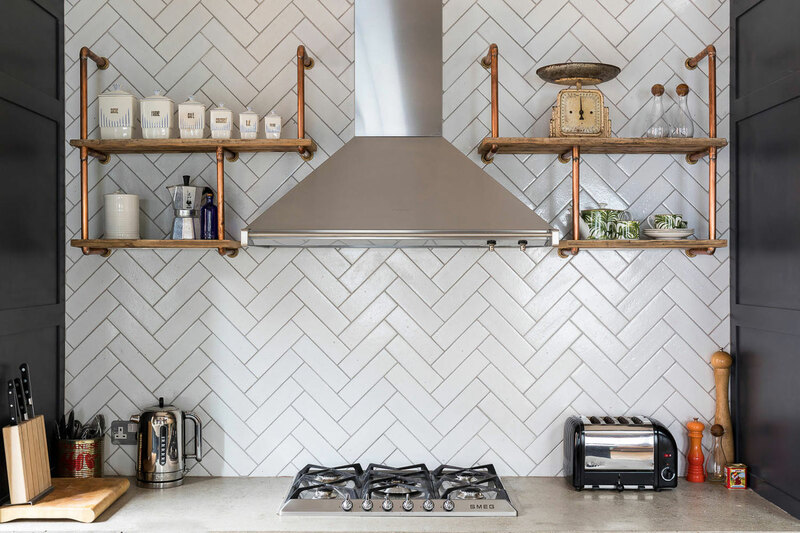 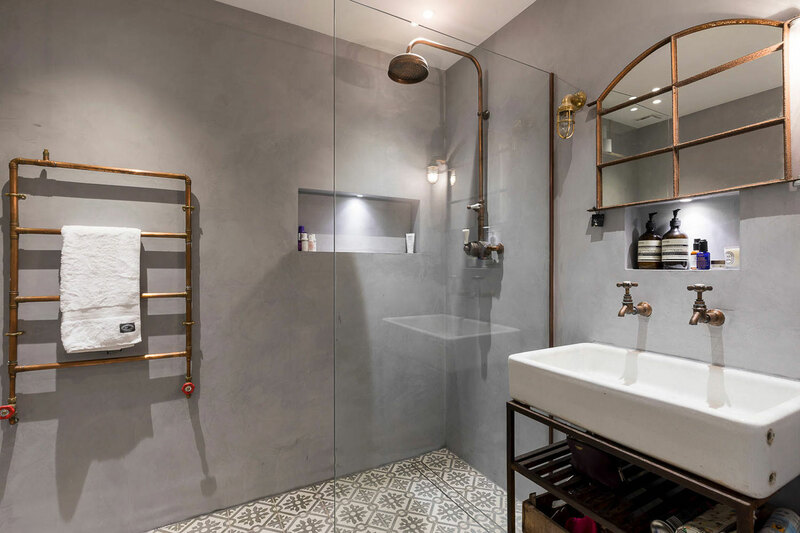 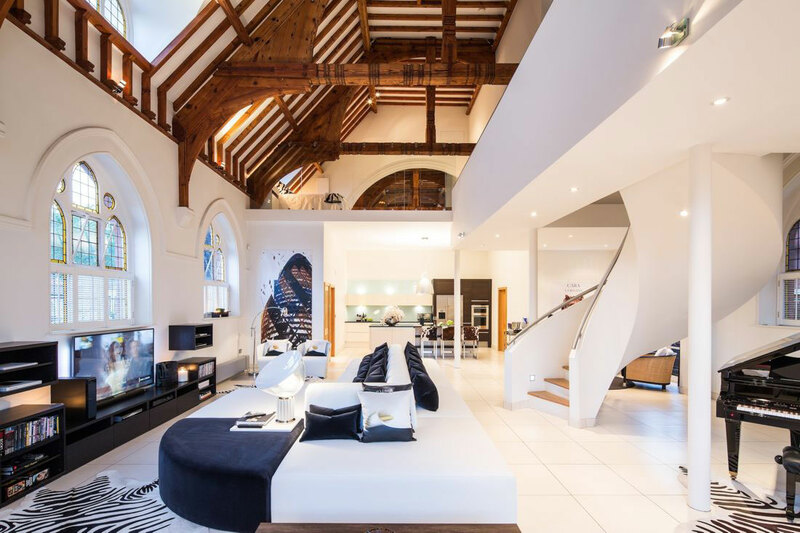 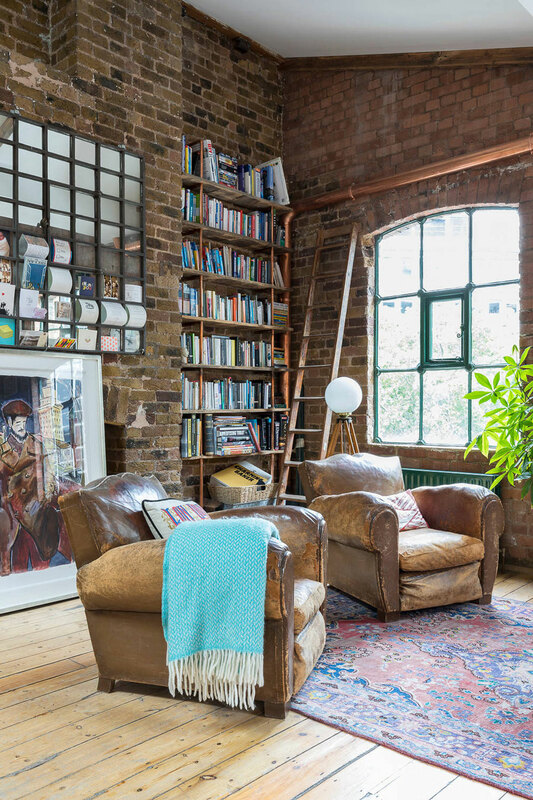 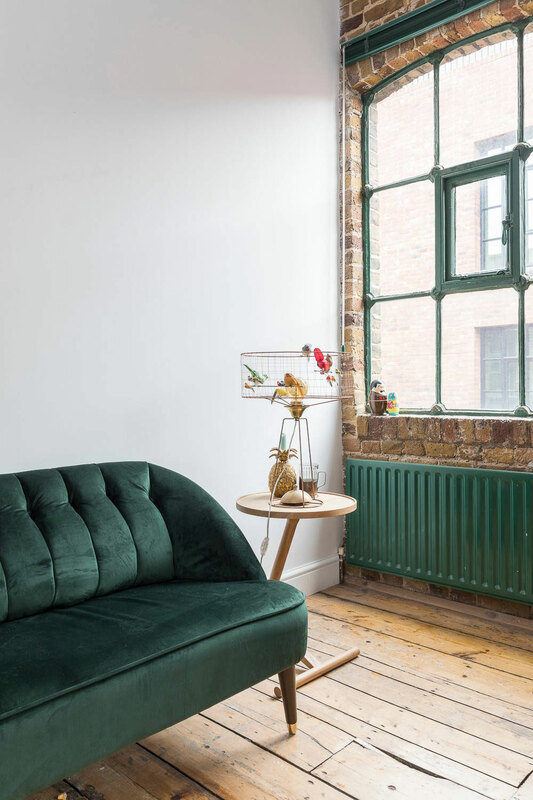 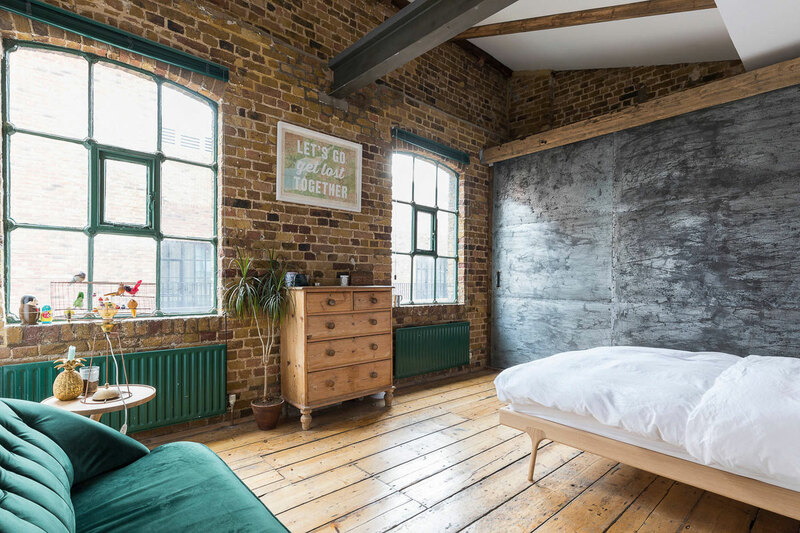 This industrial style penthouse is located in the trendy East End district of Shoreditch, where many old industrial buildings have been converted into stunning lofts. 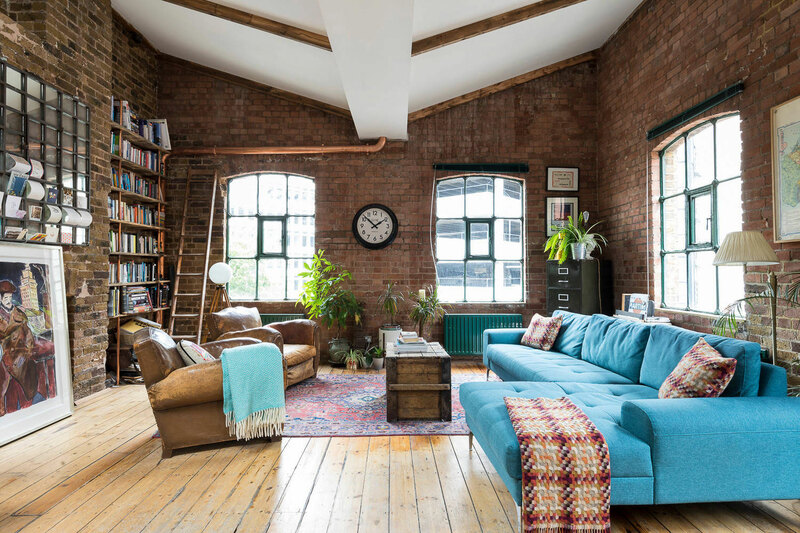 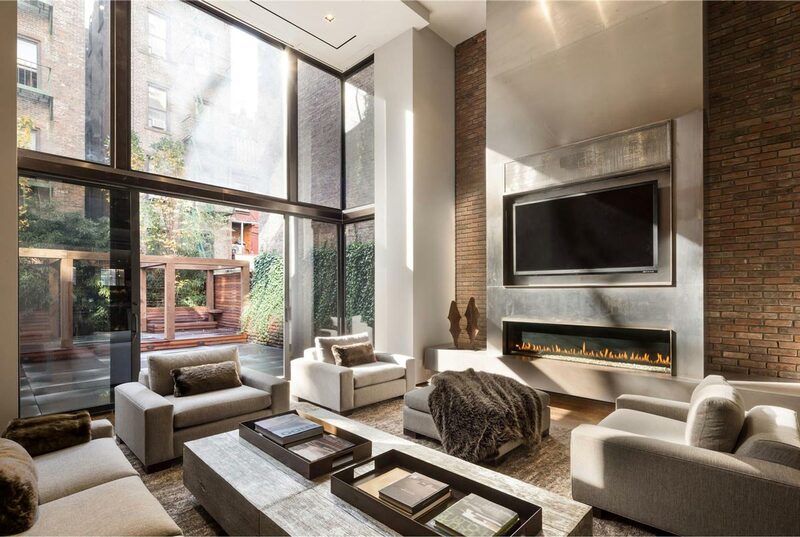 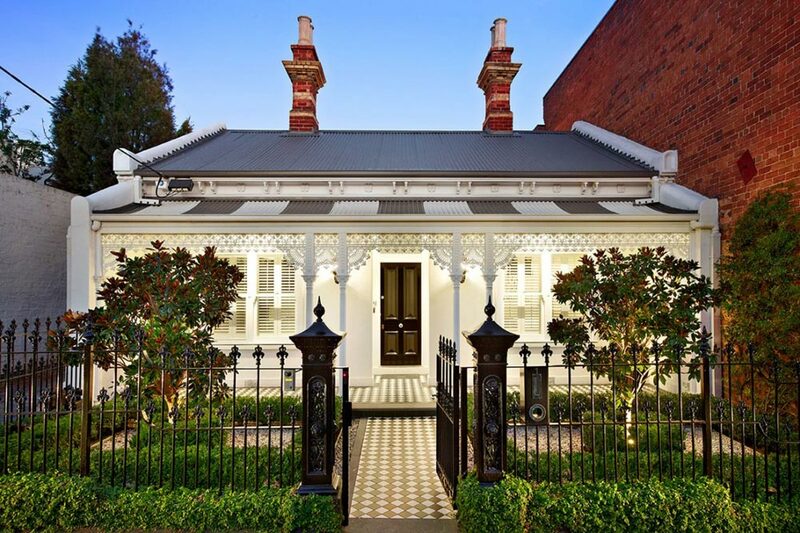 Designed by the digital construction company houseUP, the penthouse features beautifully aged brick walls, high ceilings and exposed beams. 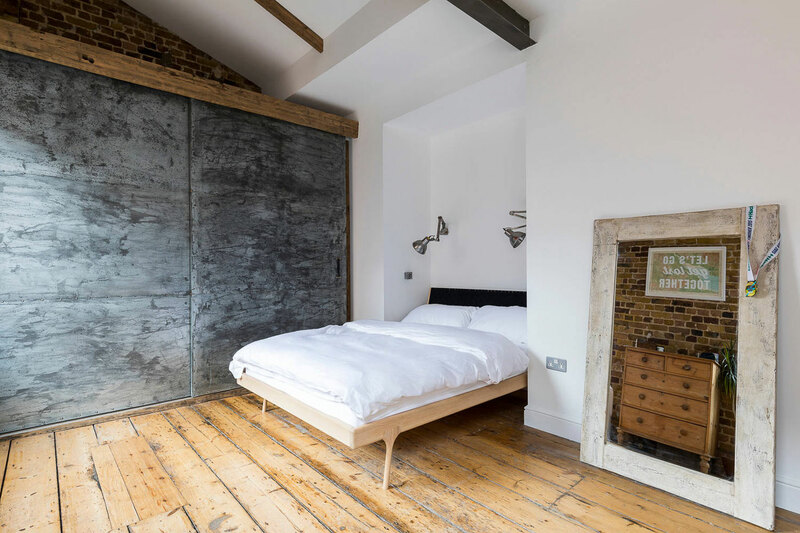 The Shoreditch Pentouse is located in Shoreditch, London, England.